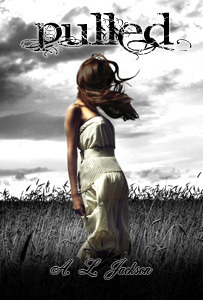 Today, The Cover Contessa, along with Never Too Old for YA Books from Goodreads, is proud to welcome author A.L. Jackson to the blog for an interview! Have you read Jackson's books? Not for anything but aren't those covers simply Amazing! So without further ado, here is what Jackson had to say! I used to write a lot when I was in college, but mostly poetry and that sort of thing. It wasn't until about five years ago that I had the idea for Pulled and sat back down and started writing again. It takes me about a year from start to publication. Emotion. When I'm reading, I want to feel what the characters are feeling. That's also my ultimate goal when I'm writing. I typically write when I have large chunks of time to dedicate to writing since I'm such a slow writer, but I've been doing some one hour long writing sprints with some author friends, and it's been fantastic! It can be hard at times because I get so wrapped up in writing that it's hard to shut it off. I try to work a normal 40 hour work week so I can spend the rest of my time with family, although sometimes that's hard to do since I work at home. My characters usually just pop in my head and I have a vague sense of their circumstances and their story. From there I get an outline down on paper and research anything I may need for the story. How difficult writing is LOL! For me it's very draining because I pour so much emotion into my characters, and there are many times when I feel overwhelmed because I'm so close to the story that it's difficult to tell if the story is actually coming together on paper the same way I see it in my head. It's truly a labor of love. I've written three, and man, that is really hard because I love all of them for different reasons. 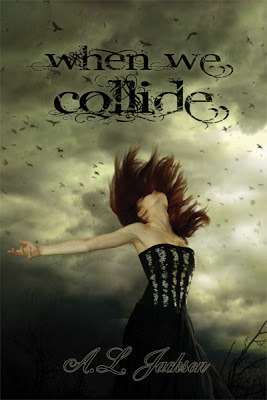 Pulled will always be my baby since it was my first, and I loved the intense connection that Melanie and Daniel shared, and I was extraordinary invested in the characters in When We Collide. I think I may answer this question different because it changes with my moods and what I'm thinking about, but I think I have to say Take This Regret. I'm currently writing a prequel to Christian and Elizabeth's story and I'd forgotten just how much I love Christian. I usually write in my office, but I really love to carry a notebook so I can jot down ideas and thoughts when I'm out and about, as that seems to be when most ideas come to me. That depends on what route an author wants to pursue. With all the changes in the publishing industry, authors have never had more opportunities or choices in how to get their books into the hands of readers, whether it be self-published, small-press published, or traditionally. Of course traditional still remains the most difficult and often most frustrating. I really believe there are benefits to each and each author should evaluate which avenue is best for them to pursue. They are all very supportive. My boys are always asking me about my books and how they're doing, and my office is filled with two of my absolutely favorite people in the world. It's awesome. Love to go to the movies with my family, out to drinks and dinner with my friends, and of course I love to read. I wish I had more time to do it. Find a good critique partner, someone with the same types of goals as you and one who can give you good, solid constructive criticism. It should also be someone who you won't be nervous to give that same type of constructive criticism back to. When two authors work together in an open and honest way, there is so much to be learned from each other, and it's one of the best ways to have your strengths highlighted and your weaknesses pointed out. Gone with the Wind is my all-time favorite book. It was the first romance I read, and I have to credit it for my love of romance. I would say to make sure to take the time to have your manuscript either professionally edited or have a very very thorough critique. 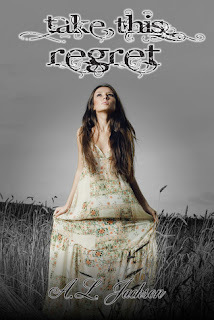 Right now I'm working on a prequel to Take This Regret called Lost to You. It's a novella that takes place during the months when Christian and Elizabeth first meet at college. Thanks so much for stopping by. We are looking forward to your next addition to your books! Please feel free to come back and share them with us!